Lagoon is a unique restaurant in Lagos with different settings and atmospheres. There is choice to sit indoors or outdoors. For the Indoors option, we have FUSION which serves Japanese, Sushi & Lebanese food and the CHURRASCO which specializes in Brazilian grills. Guests can opt for the outdoor setting located by the lagoon water in our restaurant called THE TERRACE which serves various cuisines such as Indian, Chinese, Intercontinental and Pizza in addition to some local Nigerian barbecues. 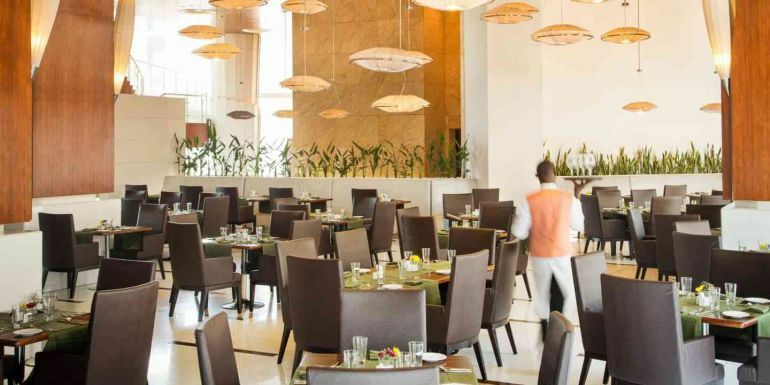 Essentially the 3 restaurants serve seven cuisines under one roof at Lagoon Restaurant in Lagos. Finally, the bars serve the widest variety of cocktails and shisha in Lagos. Be the first one to write a review for "Lagoon Restaurant (Churrasco and Fusion)"